The 2016 Stratus Award winners are here. 26 companies that are dominating the cloud. And the winners are...19 companies named Best Places to Work. Winners of the 2015 Business Intelligence Group Awards for Business (BigAwards) are announced. The 2015 Stratus Awards showcase companies and products that are driving global adoption of cloud-based services. Philadelphia, PA--The Business Intelligence Group announced the winners of the 2015 Stratus Awards for Cloud Computing today. The crowd-sourced industry awards program recognizes companies, executives, and services whose innovative approaches are helping to accelerate the development and adoption of the cloud in the consumer and business markets. 2015 Stratus Award Finalists include: Agilysys InfoGenesis Flex, Airbiquity, Appirio, Beckon, Binary Tree, BT, ClearSlide, CloudLock, CloudVelox, Datapipe, Epicor Cloud ERP, Five9 Freedom, FLIR RapidRecap, FPX Predictive Applications, HC1, Hitachi Data Systems, iCore All-in-one, IgnitonOne, InsightSquared, Intellect, Maestro, NaviSite, Netformx ChannelXpert, Nexenta, Odin, OutSystems, Parallels Remote Application Server, QAD, Ribose, The Model Warehouse’s smartfacts, Snowflake Computing, Social Solutions Global’s Efforts to Outcomes (ETO) software, SolidFire, Taulia Dynamic Discounting, Telarix, Teletrac Fleet Director, Vena Solutions, Wdesk, by Workiva and Yext. The Business Intelligence Group launched the first crowd-sourced industry awards programs to recognize authentic talent and superior performances in the business world. Unlike other awards programs, the Business Intelligence Group’s programs invite real business people with experience and knowledge to volunteer as judges. The organization’s proprietary and unique scoring system selectively measures performance across multiple business domains and rewards companies whose achievements stand above those of their peers. PHILADELPHIA, PA-May 13, 2015-The Business Intelligence Group announced the winners of the 2015 Public Relations Excellence Awards today. The industry awards program recognizes agencies, departments and public relations professionals whose work helps to tell the stories of their clients in innovative and meaningful ways. — Russ Fordyce, Managing Director of the Business Intelligence Group. In 2014 the Fuhu public relations team positioned the company as the leader in creating innovative technology products and solutions for kids and families. The team’s efforts led the company to wide recognition in the technology industry as well as in the media and being named by Inc. magazine as the #1 Fastest Growing Company in America for two consecutive years and by Forbes as the #1 Most Promising Company in America. The team was able to secure top-tier media coverage from The Wall Street Journal, TIME, USA Today, Los Angeles Times, AdAge, Mashable, CNET and LAPTOP magazine and generated a 3-year growth rate of 158,957%. In 2014 Eastwick moved from being the “best-kept secret in Silicon Valley” to the “newest darling” of the tech communications scene. With careful planning and carefully orchestrated execution, the agency opened a New York office, launched a new brand, expanded its service offerings and announced new partnerships. These efforts led Eastwick to be featured in Fast Company, Entrepreneur and several Business Journals. As a direct result, the agency saw a 63.6% increase in new users to its website and a 25% increase in overall revenue. To generate awareness for their client Coalfire, the Public Relations team at Metzger Albee designed a campaign to react and respond in real-time to ongoing cybersecurity news. The team’s approach paired company executives as thought leaders with reporters covering breaches and other IT risk management issues. As a result, Coalfire and its security experts were featured in top-tier media outlets and trade publications yielding a significant increase in media coverage and website traffic. As founder of her own firm, Nicole works closely with companies and physicians to highlight innovation and leadership in the field of health care. Her targeted public relations and social media programs have brought life-transforming medical technologies to the forefront for millions of Americans. Based in Menlo Park, Calif., Nicole’s clients include Abbott, CardioKinetix, Ceterix Orthopaedics, NeoTract, Outset Medical, Pelvalon, Shockwave Medical and publicly traded Intersect ENT, which was recently named a Most Promising Company by Forbes. She is also a founding member of MedtechWomen, an educational non-profit dedicated to advancing women leaders in health care. The 2015 judging panel also selected three organizations as standouts and named them all finalists in the Public Relations Excellence Awards program. They include Zoosk (http://www.zoosk.com) as Department of the Year Finalist, Uproar PR (http://www.uproarpr.com) as Agency of the Year Finalist and Rainier Communications for QD Vision (http://www.rainierco.com) as Campaign of the Year Finalist. Organizations and individuals that would like more information can visit the company’s website and download an entry kit at http://bintelligence.com/stratus-awards/. The Business Intelligence Group is the first crowd-sourced industry awards program to devote itself to the recognition of authentic talent and superior performance in the business world. Unlike other award programs, the Business Intelligence Group’s programs invite real business people with experience and knowledge to volunteer as judges. The organization’s proprietary and unique scoring system selectively measures performance across multiple business domains and rewards companies whose achievements stand above those of their peers. PHILADELPHIA, PA—January 22, 2015. Judges have deliberated and made their picks for the 2015 BIG Innovation Awards. These innovations are making major impacts in today’s world. The winning organizations have led the way to new advancements and dramatic accomplishments in a variety of fields. And the 2015 BIG Innovation Award winners are . . .
AfterShokz AfterShokz’s Bluez 2 wireless bone conduction headphones are known for prioritizing safety and situational awareness through their unconventional OpenFit™ design. Anki DRIVE Anki DRIVE is a first-of-its-kind battle-racing game that lets players use a mobile app to race and customize real battle-equipped cars—alone or in competition with friends. Attunity Attunity offers innovative software solutions to help companies move large volumes and high velocities of big data quickly and easily for use in improving their businesses. The Barton Group SqueezyStraw, a patented packaging technology, produces the lowest-cost tamper-proof and single-serve pack on the market, with its own integral dispensing feature. Engeenuity Engeenuity uses the Advanced Physics System Engineering (APSE™) process, a revolutionary technology that affects processes in the complex structure of biological systems. 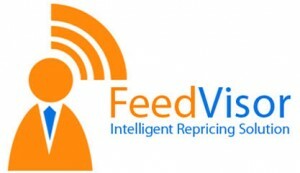 Feedvisor Feedvisor is the world’s first fully algorithmic repricing and business-intelligence platform, offering e-commerce marketplace sellers a way to keep prices competitive in real time. Foxit Software Foxit PhantomPDF Business provides one of the most functional, secure, collaborative, and affordable PDF solutions on the market. Ignite Sales The Ignite Sales Profitability Dashboards for OmniChannel Measurement are a cloud-based analytics solution that does just that – they give banks unparalleled detailed visibility into channel performance. Keurig Green Mountain Keurig® 2.0 is the first Keurig® brewer to brew both a single cup and a carafe of coffee. MagnaCom Magnacom is a recognized technology-innovation powerhouse that has reinvented the evolution of digital communications with WAM™—a vastly superior, patented new modulation for the 21st century. Maxta Maxta’s software-defined storage fully realizes the promise of hyper convergence, providing improved VM-centric automation, simplified data protection, greater availability and resiliency, and improved self-healing capabilities. Nu Skin Enterprises Nu Skin Enterprises Pharmanex Biophotonic S3 Scanner empowers users to track improvements in their antioxidant levels as they make changes to their diet and lifestyle. Red Ant Red Ant’s RetailOS is a connected experience platform that joins up all of a user’s devices and touch points to deliver a seamless shopping experience. Skyonic Corporation Skyonic’s technology captures greenhouse gases before they are released, turning these potentially harmful emissions into usable products that are both beneficial for the environment and profitable for business. UnitedHealthcare UnitedHealthcare Baby Blocks® is a mobile, interactive incentive program designed to improve the health and well-being of expectant mothers, new parents, and their babies. Worldnow Worldnow’s Studio Gateway is the only CMS agnostic platform that connects legacy studio systems with digital content-management systems to distribute content across linear and digital screens simultaneously. — Russ Fordyce, Managing Director, Business Intelligence Group. So you think you deserve a Big Award? You quite possibly do, but standing between you and the recognition you so richly deserve is the small matter of a written entry. This submission is the one and only chance you have to get your case across. There is no second stage, no face-to-face presentation. This written entry is it. So you really need to ensure it does you justice. Here are some important pointers from us here at Boost Marketing, the world’s first and largest award entry consultancy. We've put our heads together and distilled a huge list of suggestions and top tips into just ten vital ingredients. These are based on our experience of writing over 700 winning award entries since we were established in June 2006. Tell a story – make your submission a compelling read. Yes, you are talking to a “judge”, but this is not a court of law. Make the narrative win them over. Prove you’re the best – while telling your story, avoid the pitfall of including unsubstantiated assertions like “there was a real buzz in the office” or “feedback was immediately excellent”. Judges get irritated by statements that lack evidence. Read the instructions – this might seem an obvious point, but ensure you read the guidelines and judging criteria carefully and then ensure you answer all the questions in full without going off at tangents. If you are not 100% sure what a question is after – ask. Never assume. Interview the right people – even if you think you know the story, you should interview as many other people as possible. Ideally a senior sponsor, external “witnesses”, the implementer of the strategy and maybe even beneficiary like an end-user or customer. Find a truly independent reviewer – the judges are unlikely to know your industry, so it pays to get someone to read your draft submission who is equally objective. Imagine you were unsuccessful – when you have written your entry, a good technique is to imagine you were unsuccessful and you narrowly missed the top spot. What would you do to get a few extra marks? Use images wisely – It’s true that a picture tells a thousand words, but badly used graphs, diagrams and photos can actually do more harm than good. Images are good, but only if they make sense in three seconds, add value and have a clear purpose. Avoid the quagmire – the biggest trap in any submission writing process is to focus too heavily on “what we did” – the quagmire. It is called this because it you get bogged down in the detail. Remember that awards are as much for what you achieved, as what you did. So balance the two. Recycle your entries – having spent time and/or money crafting a thorough award entry, it would be a travesty not to use it again. So find some more awards to enter it into. You can browse the Boost Marketing Awards lists for free (and subscribed for free monthly updates). Click on any of these links: UK, Ireland, France, New Zealand and USA. Use awards for continuous improvement – a survey by Boost of awards organisers showed that a third of awards provide feedback, another third give feedback when asked. Resist the temptation to contest any comments provided by judges, instead use the feedback to improve your initiative, your strategy or maybe just your award entry writing for next time. If you ever need help choosing which awards to enter, gathering the right sort of evidence of success and uniqueness, writing your award submission or preparing a presentation to judges, then feel free to contact our partners at Boost Marketing in the UK, Ireland, France or New Zealand. 2014 Big Awards for Business Finalists include Acumatica, Appcara, Inc., Authentify, Inc., Pluralsight, SnapLogic, SPLICE Software, Telarix, TrackVia, Utopic Software, and Cloud Phone, a Service of Voxox. Organizations that would like more information can visit the company’s website at www.bigawards.org. The Business Intelligence Group was founded with a mission of recognizing true talent and superior performance in the business world. Unlike other industry award programs, business people, those with experience and knowledge, judge the BIG Awards. The organization’s proprietary and unique scoring system selectively measures performance across multiple business domains and then rewards those companies whose achievements stand above their peers.